Research figures demonstrate that home ownership is an unattainable ideal for many. But what is a dream home in 2018? Recent research figures by the windows furnishing company Thomas Sanderson reveal the stark reality of today's 18 to 35-year-olds' chances of ever owning a home. Of the 2,342 UK residents who participated in the research, a quarter admitted they had nothing at all saved up for a house deposit. Those who do have money saved up, have, on average, just over £6,000 in savings – approximately 19 per cent of the national average deposit of £30,000 needed. Understandably, nearly a third of the respondents claimed that they no longer thought they would ever own a house. The researchers then probed the remaining two-thirds on whether they thought they would ever own their 'dream home', which is where the responses get more complicated, and serve as a reminder of the extent to which our ideas about home ownership are bound up with aspiration. Almost a quarter of those respondents who do think they will own a home one day are already feeling regret about never owning the home of their dreams, because their 'sights are set too high'. While this suggests that most prospective home owners are reasonable in their expectations from a home, the 'dream home' as a category does influence most people's property search at least to an extent. What does this dream home look like, and which features does it possess? While generic requirements, such as a good location, proximity to local amenities, and multiple bedrooms, are hardly surprising, it seems that for many young Britons, the perfect home is a period home. And while a period home can mean many things, from a thatched cottage to a 1950s tower block, many of us associate 'period' with a Victorian terraced house. Built throughout the second half of the 19th Century as Britain's cities expanded outwards, these properties, amazingly, continue to define what we think of as 'home'. For many decades, of course, social or council housing, has been associated with grim concrete blocks that are the opposite of the low-rise, private-entrance-and-garden ideal that the Victorian suburban terraced home had introduced. While owning a period property will remain a dream for many, it is easy to see why the 'dream home' some still hope of one day buying looks like a Victorian terrace – spacious and human in scale. 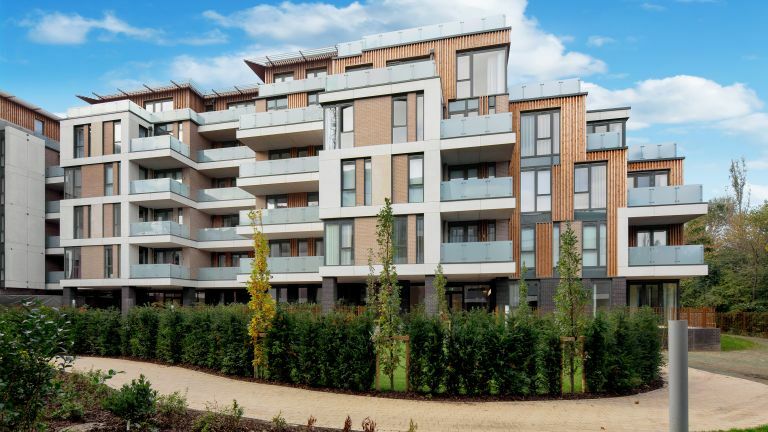 It is no secret that one of the solutions to the UK housing crisis is to build new homes that will ease the pressure on the dwindling housing stock. These homes will have to be genuinely affordable, but, if they are to become genuinely attractive homes for future generations, they will need to take our collective dream of a good home into consideration. Some developers and architects already have done just that, as this Victorian terrace-inspired residential complex in Macaulay Road in London, by Squire and Partners, demonstrates.